Welcome to the official website for the Linesville Cemetery Association. This site is dedicated to the Linesville Cemetery and all doing genealogical work involving Linesville and the outlying areas of Crawford County, PA. The official records of the Linesville Cemetery Association have been scoured and all available information gleaned from the pages. Efforts have been made to make sure information is recorded as accurately as possible. If/when you find any mistakes (and you will find them as we are only human), or have any additions or corrections to add - please contact us. We would also love to have any photos and/or information you might wish to share on the residents of this cemetery. Our goal is to have as much information as possible. CEMETERY FEES - current fees for the 2019 calendar year. Each month we will try and feature a different photo on the home page of our website. 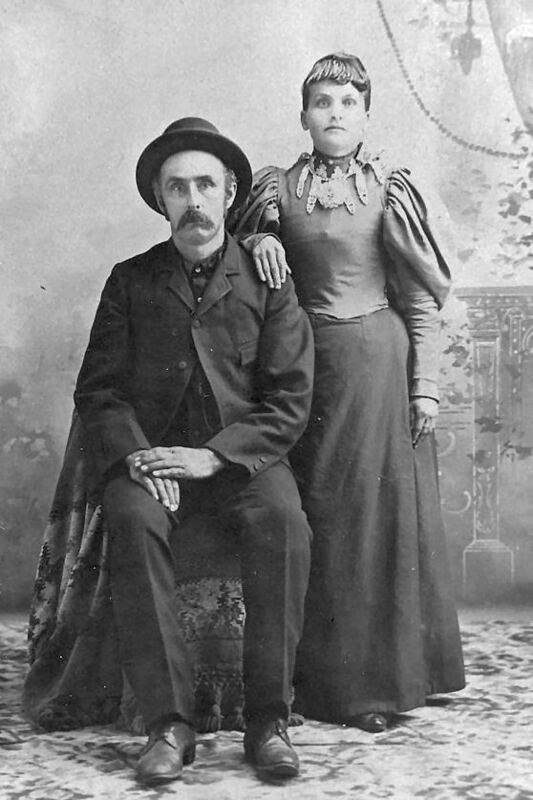 This month the photo is of Altamont Augustus Litwiler and his first wife, Minnie E. Bright. Altamont was born in Linesville in 1855 and died July 7, 1937. Minnie was born in Pennsylvania in 1871 and died July 13, 1939. They are buried here in Section F, Lot 124, Graves 2 and 3. In addition to the residents of the Linesville Cemetery, you will also find extensive genealogical information on people who are related to those buried here. We are trying to include photos, census data, death certificates, obituaries, tombstone photos, and stories of all who connect in any way to this cemetery. To find out what information we know about other cemeteries in Crawford County, and across the world, please check out the Cemeteries link on the left hand side of this page. This will take you to our master list of cemeteries. We hope to add tombstone photographs and cemetery indexes as time allows. You can also search for surnames from the search menu, or the drop down lists. MASTER SURNAME LIST - this is a complete list of all known burials in our cemetery. OUR VETERANS - list of all veterans buried in Linesville Cemetery. 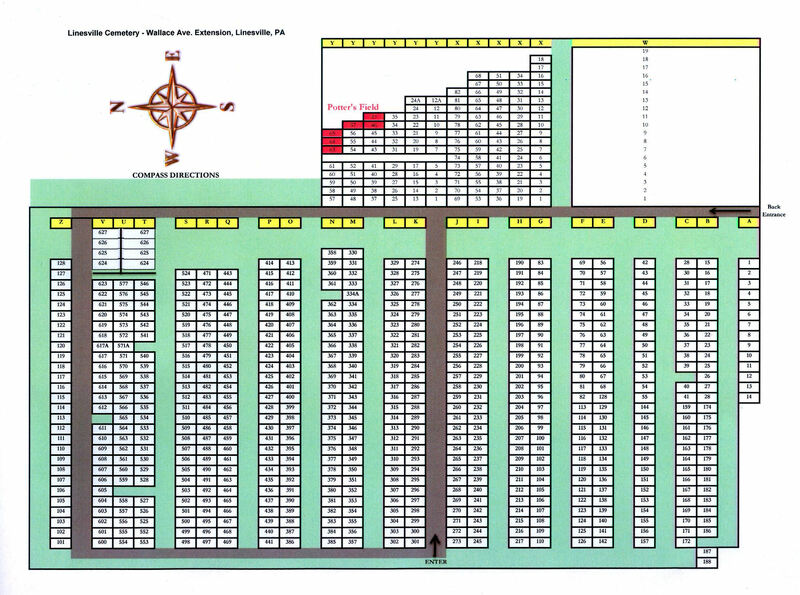 MASTER CEMETERY MAP - a master map showing the complete cemetery. To see the individual section maps, see "Cemetery Section Maps" below where there is a detailed map for each cemetery section.